This is where Christians tie themselves into knots. As I have said, a god cannot die, so the whole thing was a scam. 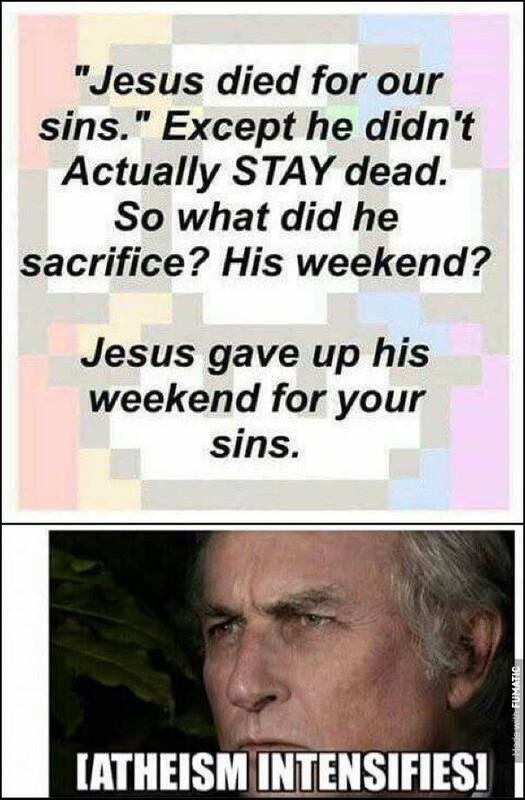 They say, well he was a god but also 100% human (no contradiction there) so Jesus actually experienced dying. But he was guaranteed a rebirth (why after the mystically important three days rather than a week or a month?) he was just on a short excursion to Heaven. So, they should be saying that Jesus experienced dying to save us from our sins, a mock human sacrifice!